I've never heard of this manicure before but I will definitely be trying it out! Gorgeous effect and lovely colours! 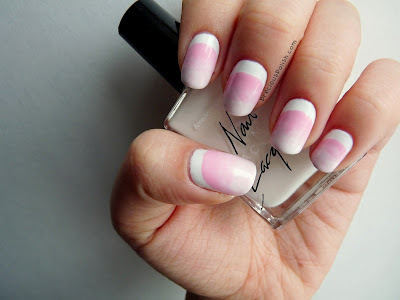 Wow why did I never thought of doing a nail art like this?! You work so neat and the colorchoice is beautiful! Love it! i love your use of the two techniques here! im totally obsessed with ruffian manis too cause they're so versatile! I love your ruffians! This one is so soft-looking! I love this! It is different but so pretty!! Haha don't worry, I'm sure I'll find plentyyy of time to eat ;P Thank you!